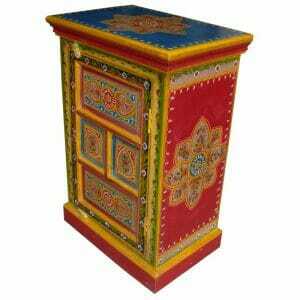 100cm high x 70cm wide x 40cm deep. 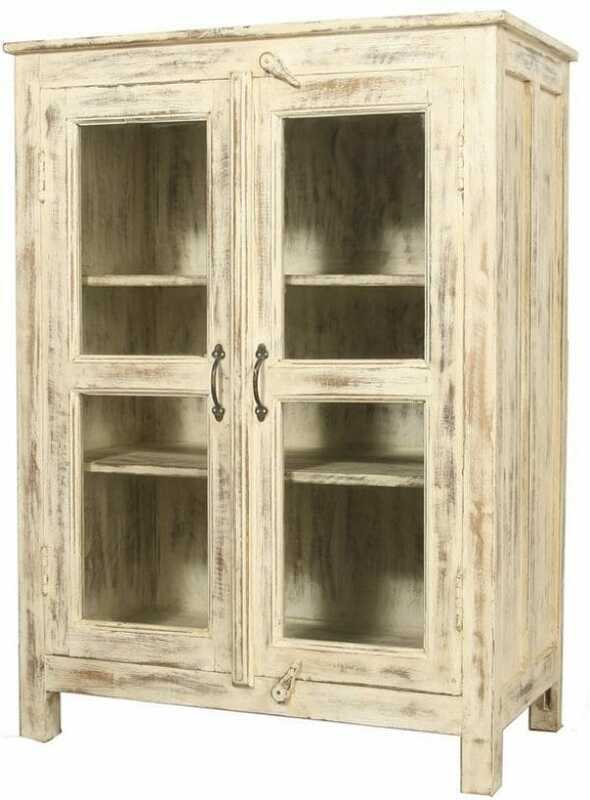 This clear cut, distressed wood white cabinet is built of reclaimed Indian hard wood with finely turned joins, well set shelves and nice, clean lines. 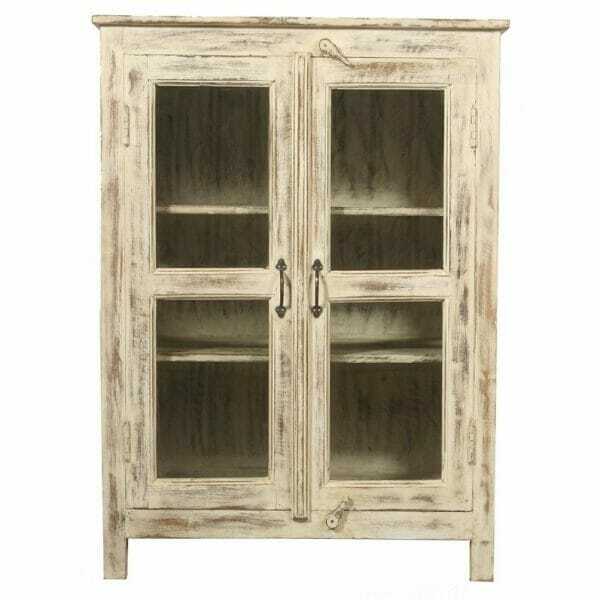 Crafted with skill to withstand your heavier and more substantial items, whilst framing them beautifully with a classic vintage-feel, this is white, glass fronted, Indian cupboard that suits any interior décor scheme. 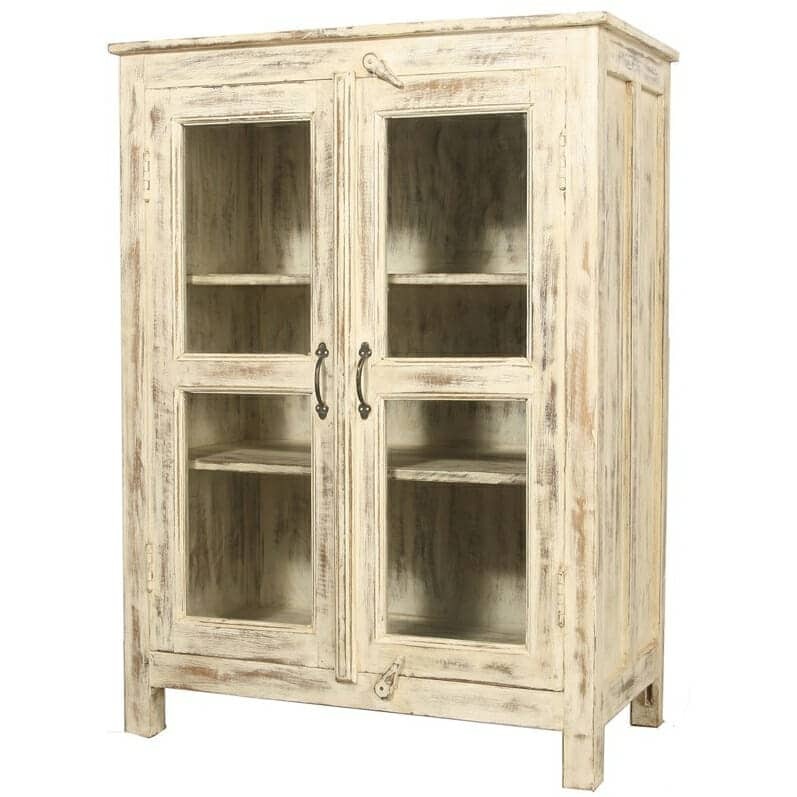 Unusually minimalistic in design, the oriental dresser is made to fit in anywhere – any room, be it hallway, study, living room or kitchen, can benefit from the unique, hand crafted white cabinet. 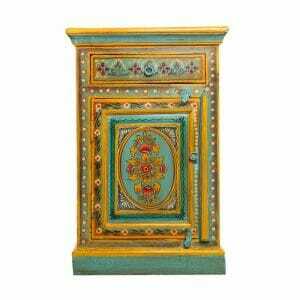 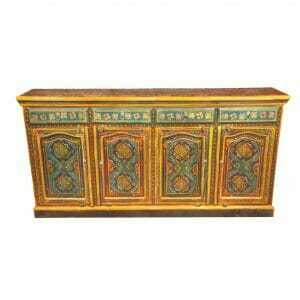 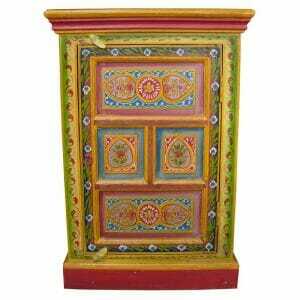 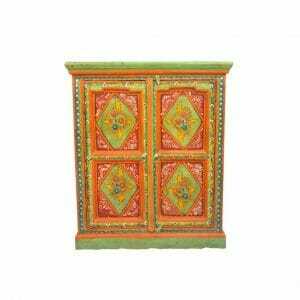 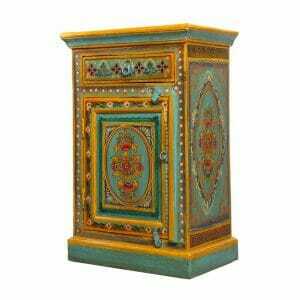 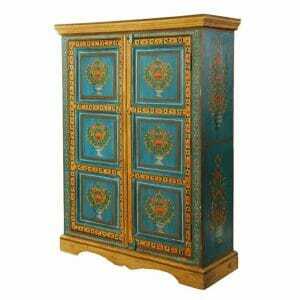 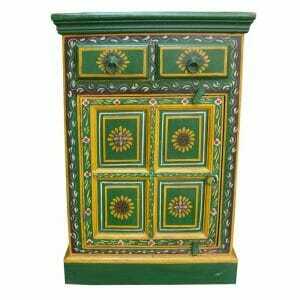 The simplest way to make a décor statement is with a piece of distressed wood furniture such as this Indian cupboard and let one simple item do all the stylistic work. 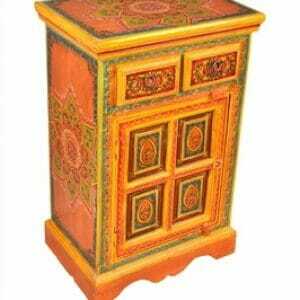 The art of recreating reclaimed wood in original ways is taken into the hands of our long established Indian furniture experts, whose Academy training melds with the inherited expertise of the established, traditional master craftsmen of Rajasthan; a region which has always honoured and celebrated with patronage its artisans, to the benefit of the evolution of the crafts. 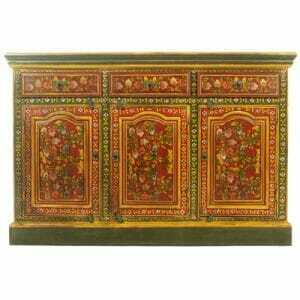 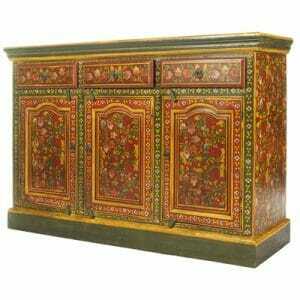 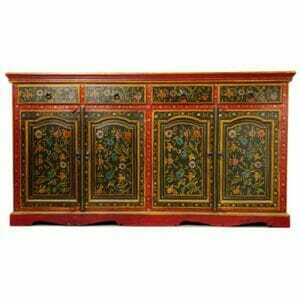 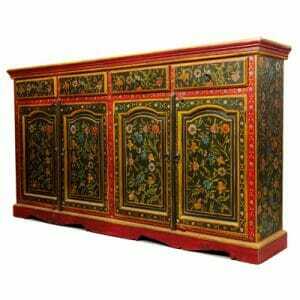 Western inspiration merges with Eastern wisdom in an alchemy of innovation that results in unique pieces, like this Indian dresser, reaching us as they emerge. 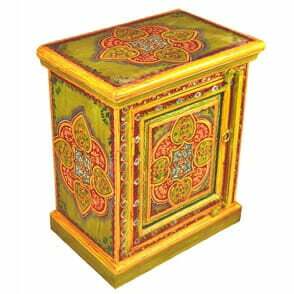 We encourage the artisans to create what they love and oversee the process, satisfying ourselves of the continued high standards in resources, ethics and working conditions. 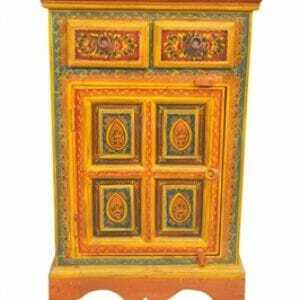 We enjoy friendship and a warm welcome in our frequent trips to India, thanks to over 20 years experience bringing the treasures of the East to the doorsteps of our clients. 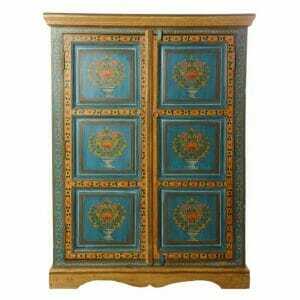 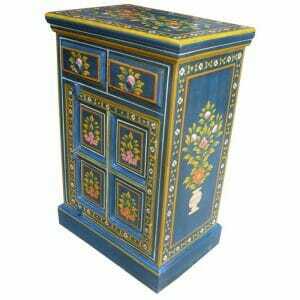 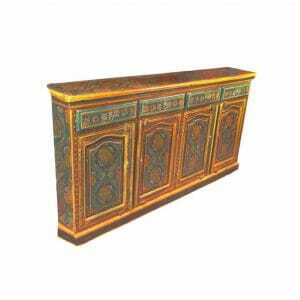 We can offer a bespoke furniture service at no extra cost and would encourage you to consider your requirements. 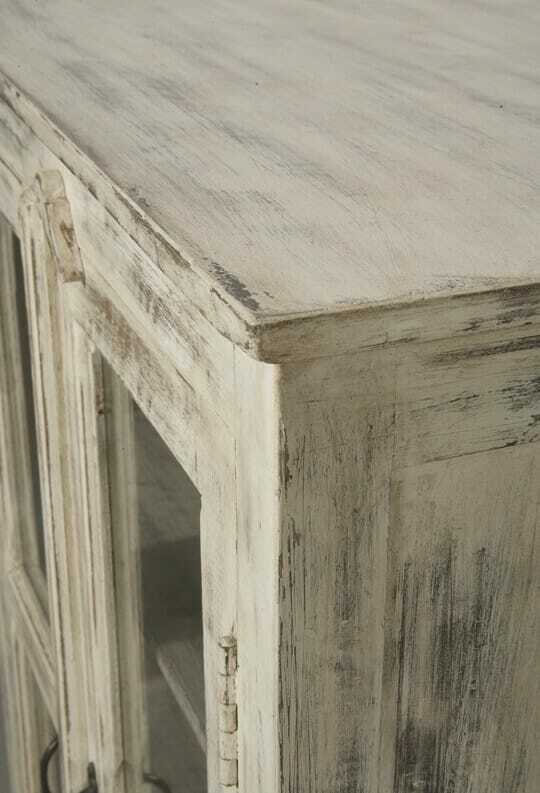 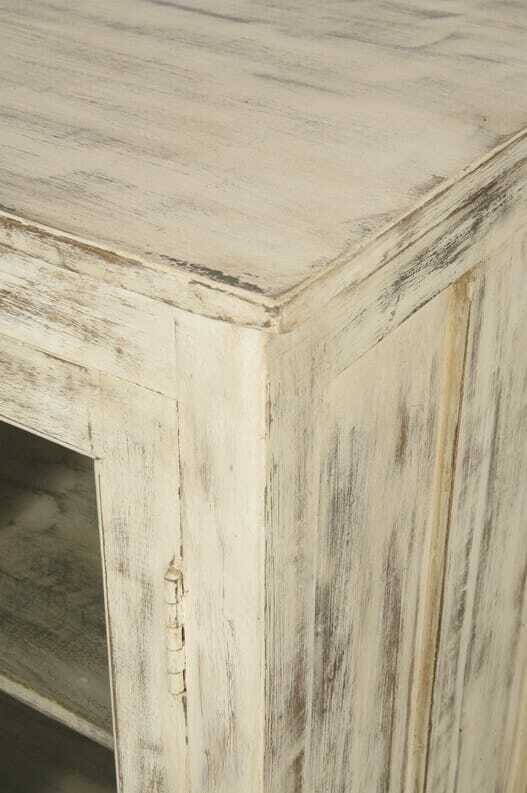 Perhaps a white wardrobe to match this distressed sideboard or a distressed wood coffee table. 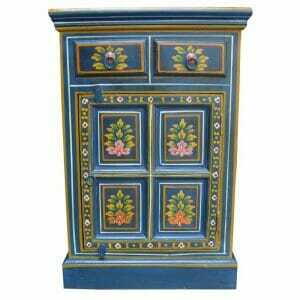 A simple email to us will return a very reasonable quote with an estimated delivery time. 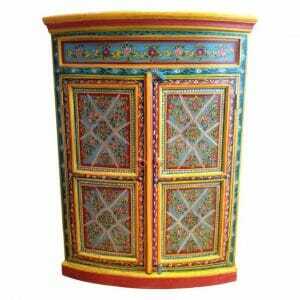 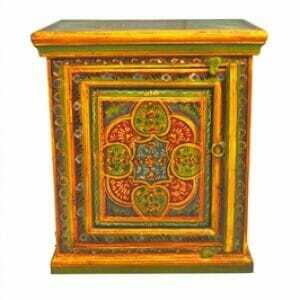 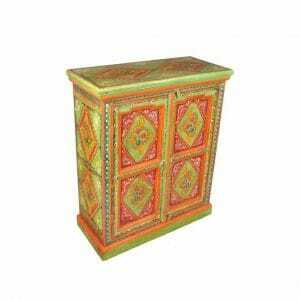 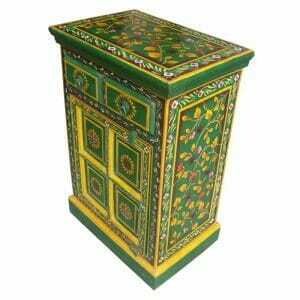 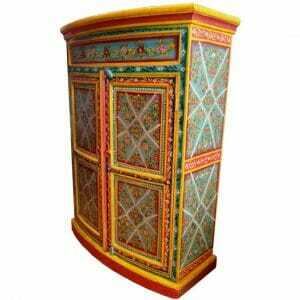 Or, if the reclaimed wood cabinet inspires you, have a look at our Indian trunks, hand carved and sculpted from the reclaimed wood of sea-torn boats.